Treating the cat or dog with a topical flea product is a good idea to begin flea elimination in your home, but it will not take care of the main infestations in the house and yard. Your pets may be bringing the fleas in from outside. 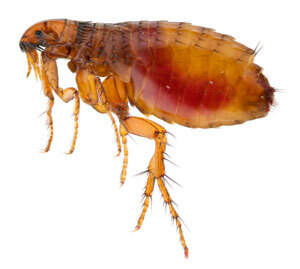 Dominion Pest Control offers an Indoor and Outdoor flea treatment for total peace of mind. When you call Dominion Pest Control to treat your home we will be treating the entire floor areas as well as any other areas that the pets have access to. For treatment, Dominion uses a pet-friendly insecticide to reduce flea populations. If you need flea control treatment in Lancaster and York PA, give us a call today at 717-393-7879. If you’ve already joined our flea program please print out our Flea Treatment Instructions before our flea control technician arrives.